San Francisco, CA – (800) 775-7612 – In a prior post, we looked at the FLIP-CRUT concept in which a Charitable Remainder Trust begins as as a Net Income Charitable Remainder Trust, and after a “Triggering Event”, changes and becomes a Standard Charitable Remainder Trust with a fixed Unitrust or Annuity distribution. We also looked at relevant Treasury Department definitions of Triggering Events, which are judged not to be subject to the control of the Trustee or another person. Among the most common instances of Triggering Events is the sale of Unmarketable Assets, for example, the sale of a Personal Residence, or any other real or commercial property, securities or various business holdings that are not publicly traded, and do not have any sort of public marketplace to value and sell. A Charitable Remainder Trust is an excellent way to postpone the tax on sale if you possess a piece of real estate that has appreciated in value, so that selling it outright would result in significant capital gains. The IRS will unfortunately prohibit the deduction based on the Step Transaction Doctrine if you donate the real property to a Charitable Remainder Trust once an irrevocable commitment to sell already exists. On the other hand, placing real property in a Standard Charitable Remainder Trust – which has a fixed yearly commitment to pay the income to the Grantor – may also not be feasible. A Standard Charitable Remainder Trust will not get the job done, if the real property takes takes a good amount of time to sell (surely more than a year). This is why the Treasury Departments inclusion of Real Property as not readily marketable is critical. It allows you to donate the property immediately, take the appropriate deductions, and after that convert to a Standard Charitable Remainder Trust after there is sufficient liquidity (post-sale) to fulfill the yearly distribution requirements. The FLIP-CRUT is really the best vehicle when offering for sale appreciated assets that are not readily marketable, such as real estate. Connect with a Family Philanthropy Attorney at Ainer and Fraker 800-775-7612 right now to find out how you can take advantage of the incredible tax benefits of a FLIP-CRUT. What are the Essential Elements of a FLIP-CRUT? 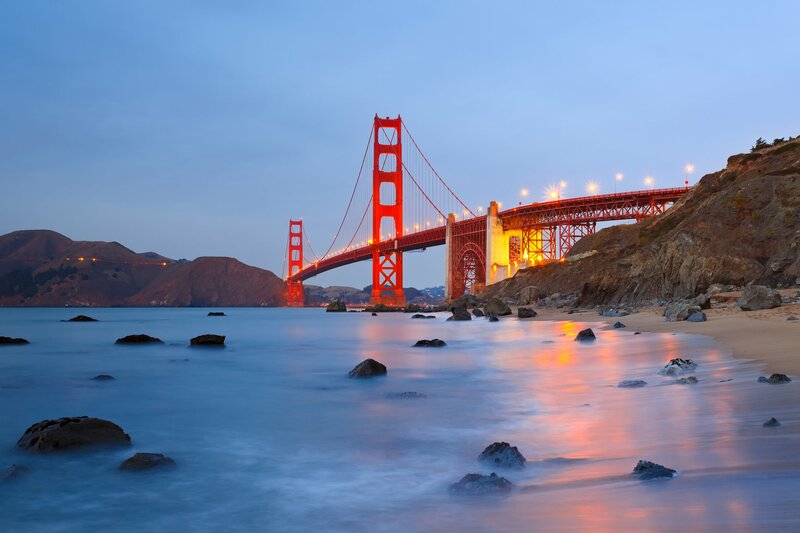 San Francisco, CA – Fairly recently, I was working with a client to develop a Charitable Remainder Trust in to which he would be able to contribute his $3.2 million real property. In our discussion, my Client communicated his desire to not sell the investment property inside the Charitable Remainder Trust until the second or third year year after donation. So, I asked him: “Have you ever thought about a FLIP-CRUT?”. To which he replied: “What is a FLIP-CRUT?”. To which I said: “It’s an unique variety of Charitable Remainder Trust, which allows you to defer the annual income distribution until after your real estate sells.”. Usually, a Charitable Remainder Trust is required to pay out either a fixed percent (unitrust) or fixed pecuniary amount (annuity) to the Income Recipient, no less frequently than annually. What happens if the Trust doesn’t have sufficient assets that are capable of generating the required amount each year? The solution is to start with a Net Income Charitable Remainder Trust, which contains language permitting it to switch over (or FLIP) into a Standard Charitable Remainder Trust on a specified event in the future. During the initial period, the CRT pays out the lesser of Net Income or the Unitrust amount. If there is no Net Income, then the amount paid out during that period will be zero. In this particular client’s example, he contributed a $3.2 million piece of investment property, into an 8 %, 12 year FLIP-CRT. During the initial period, before the sale of the real property, the net income would be zero. The CRT begins its annual 8 % unitrust payout to the Client upon the occurrence of the Triggering Event – in this instance the selling of the real property. (1) The “triggering event” may not be something that is “under the control” of the Donor. Oddly enough, , the sale of real property is not deemed being “under the control” of the Donor. (2) The Grantor may also be the Trustee of the Charitable Remainder Trust (CRT) in some cases. An outside Special Independent Trustee is required to manage the transactions if hard to value assets are donated – such as real property, partnership interests … pretty much anything apart from cash or publicly traded securities . Unmarketable Assets – or those that do not immediately produce income – to a Charitable Remainder Trust. You will still enjoy the substantial tax benefits of a Charitable Remainder Trust, while not being forced to distribute Income until it is available. Contact a Charitable Giving Lawyer with Ainer and Fraker 800-775-7612 right now to learn how you can profit from the powerful tax benefits of a FLIP-CRUT. Ever since the Middle Ages, people with significant assets have used the “Trust” concept to pass real property and personal effects to their children. In the previous fifty years , the “Living Trust” has become the de facto foundation of all estate planning resources. It is helpful to think of a Living Trust as a vessel (such as a glass) that one person successfully passes to another person. Everything within the glass (liquids, ice cubes, etc.) will be successfully passed to the other person. Everything that stays outside of the glass will not be passed on to them. Funding is the process of adding your real and personal property– the “water” and “ice cubes”– to the Living Trust, so that they successfully will make it to your heirs. During your life, when you create a Trust, you act in all three roles. You are the Grantor– you created the Trust. You are the Trustee. And you remain the Beneficiary during your lifetime. During Incapacity– If you are incapacitated, but are still alive, then you remain the Grantor and the Beneficiary. However someone else will need to be your Successor Trustee, to deal with your affairs for your benefit– if you can not do so. After Death– Once you have passed away, your property is then managed by your Successor Trustee, for the benefit of your children or heirs (Beneficiaries). During the Settlor’s life, the Living Trust remains totally revocable. This means that the individual who developed the Living Trust can alter, amend, or revoke the Living Trust. Often a married couple will jointly settle (create) a Living Trust, which is commonly known as an A-B Trust. Upon the death of the first spouse, the Living Trust splits in to two (2) separate and distinct trusts. The Survivor’s Trust (Trust A) is also named the Marital Trust. This Trust continues being revocable during the Surviving Spouse’s lifetime. The Surviving Spouse has limitless use of Trust A’s Principal and Income during their life, and is free to add or remove the Beneficiaries of Trust A. At this time, Trust A can either be (1) Joined into Trust B and distributed according to the conditions of Trust B, or (2) Distributed to the beneficiaries that the Surviving Spouse has selected during their lifetime. The procedure of dividing the Living Trust into Trust A and Trust B is commonly known as as the Trust Settlement process. This is a critical process that can not be skipped. When the first spouse dies, and a fully-funded Living Trust is in place, there is still work that will need to be done. While the assets funded to the Living Trust should not have to be subject to Probate, neglecting this Trust Administration until the Surviving Spouse dies can have devastating results for the beneficiaries. Failing to appropriately divide the Living Trust at the time of the death of the first spouse may (in some cases) cause you to forfeit the Estate Tax credits that might otherwise be available. When property is distributed to the Beneficiaries, it can also cause major headaches. It is crucial to remember that while a Living Trust has numerous advantages, it is crucial to use it in the manner it was designed. A correctly funded Living Trust is the cornerstone of a successful Estate Plan. It helps Avoid Probate, Provides greater flexibility than a simple Will, and streamlines the Estate Settlement process, while keeping costs to a minimum. Since the Middle Ages, families with assets have utilized the “Trust” idea to pass real estate and personal property to future generations. In the previous fifty years , the “Living Trust” has become the de facto foundation of all estate planning techniques. It is helpful to think about a Living Trust as a vessel (such as a glass) that one person successfully passes to another. Everything inside of the glass (liquids, ice cubes, etc.) will be successfully given to the other person. Everything that is outside of the glass will not be given on to them. Funding is the procedure of putting in your real and personal property– the “water” and “ice cubes”– to the Living Trust, so that they successfully will make it to your inheritors. During your lifetime, when you set up a Trust, you serve all three roles. You are the Grantor– you set up the Trust. You are the Trustee. And you remain the Beneficiary during your lifetime. During Incapacity– If you are incapacitated, but are still alive, then you remain the Grantor and the Beneficiary. Someone else will need to be your Successor Trustee, to handle your affairs for your benefit– if you can not do so. After Death– Once you have passed on, your Living Trust then is managed by your Successor Trustee, for the benefit of your children or heirs (Beneficiaries). During the Settlor’s life, the Living Trust remains entirely revocable. This means that the individual who created the Living Trust can alter, amend, or revoke the Living Trust. Often a married couple will jointly settle (create) a Living Trust, which is frequently called an A-B Trust. The Survivor’s Trust (Trust A) is also named the Marital Trust. This Trust continues being revocable during the Surviving Spouse’s lifetime. The Surviving Spouse has unlimited use of Trust A’s Principal and Income during their life, and is free to add or change the Beneficiaries of Trust A.
named an Ascertainable Standard, and is legally required if the Surviving Spouse continues to serve as Trustee of Trust B. Upon the passing of the second spouse, Trust B is distributed outright to its stated beneficiaries. Trust B should distribute without being subject to Estate Taxes if planning is done properly. At this time, Trust A can either be (1) Joined into Trust B and distributed according to the language of Trust B, or (2) Distributed to the beneficiaries that the Surviving Spouse has chosen during their lifetime. The process of dividing the Living Trust into Trust A and Trust B is commonly known as as the Trust Settlement process. This is a critical process that can not be bypassed. When one spouse dies, and a fully-funded Living Trust is in place, there is still work that needs to be done. While the assets put into the Living Trust should not need to be Probated, overlooking this Trust Settlement until the Surviving Spouse dies can have tragic results for the beneficiaries. Failing to correctly divide the Living Trust at the time of the death of the first spouse may (in some cases) cause you to forfeit the Estate Tax exemptions that might otherwise be available. It can also cause major headaches when property is distributed to the Beneficiaries. It is very important to remember that while a Living Trust has numerous advantages, it is important to use it in the manner it was designed. A correctly funded Living Trust is the foundation of a successful Estate Plan. It helps Avoid Probate, Provides greater flexibility than a simple Will, and streamlines the Estate Settlement process, while keeping costs to a minimum. Ever since the Middle Ages, families with assets have utilized the “Trust” idea to pass real property and personal property to the next generation. In the past half-century , the “Living Trust” became the de facto foundation of all estate planning techniques. It is helpful to think of a Living Trust as a vessel (such as a glass) that one person passes to another. Everything inside of the glass (liquids, ice cubes, etc.) will be successfully given to the other person. Everything that is outside of the glass will not be transferred on to them. Funding is the procedure of putting in your personal and real property– the “water” and “ice cubes”– to the Living Trust, so that they successfully will make it to your heirs. See our post I’ve Got My Living Trust Now What Do I Do? During your lifetime, when you set up a Trust, you act in all three roles. You are the Grantor– you set up the Trust. You are the Trustee. And you remain the Beneficiary during your lifetime. During Incapacity– If you are incapacitated, but are still alive, then you are still the Grantor and the Beneficiary. However someone else will need to be your Successor Trustee, to handle your property for your benefit– if you can not do so. After Death– Once you have passed away, your property then is handled by your Successor Trustee, for the benefit of your heirs or children (Beneficiaries). During the Settlor’s lifetime, the Living Trust remains fully revocable. This means that the individual who created the Living Trust can alter, amend, or revoke the Living Trust. Often a husband and wife will jointly settle (create) a Living Trust, which is frequently called an A-B Trust. The Survivor’s Trust (Trust A) is also referred to as the Marital Trust. This Trust continues being revocable during the Surviving Spouse’s lifetime. The Surviving Spouse has limitless use of Trust A’s Principal and Income during their life, and is free to add or subtract the Beneficiaries of Trust A.
known as an Ascertainable Standard, and is legally required if the Surviving Spouse continues to act as Trustee of Trust B. Upon the death of the second spouse, Trust B is distributed outright to its stated beneficiaries. If planning is done properly, Trust B should distribute without being subject to Estate Taxes. When one spouse dies, and a fully-funded Living Trust is in place, there is still work that will need to be done. While the properties funded to the Living Trust should not have to be subject to Probate, overlooking this Trust Settlement until the Surviving Spouse dies can have terrible outcomes for the beneficiaries. Failing to appropriately divide the Living Trust upon the death of the first spouse may (in some cases) cause you to forfeit the Estate Tax credits that might otherwise be available. It can also cause major headaches when property is distributed to the Beneficiaries. It is crucial to remember that while a Living Trust has numerous benefits, it is necessary to use it in the manner it was designed. A properly funded Living Trust is the cornerstone of a comprehensive Estate Plan. It helps Avoid Probate, Provides greater flexibility than a simple Will, and helps streamline the Estate Settlement process, while keeping costs to a minimum. Ever since the Middle Ages, people with assets have used the “Trust” concept to pass real estate and personal effects to their children. In the past fifty years , the “Living Trust” became the de facto bedrock of all estate planning techniques. It is helpful to think of a Living Trust as a vessel (such as a glass) that one person passes to another person. Everything inside of the glass (liquids, ice cubes, etc.) will be successfully given to the other person. Everything that remains outside of the glass will not be passed on to them. Funding is the process of putting in your real and personal property– the “water” and “ice cubes”– to the Living Trust, so that they successfully will make it to your beneficiaries. During your lifetime, when you set up a Trust, you serve all three roles. You are the Grantor– you created the Trust. You are the Trustee. And you remain the Beneficiary during your lifetime. During Incapacity– If you are incapacitated, but are still alive, then you are still the Grantor and the Beneficiary. Someone else will need to be your Successor Trustee, to handle your affairs for your benefit– if you can not do so. After Death– Once you have passed on, your property then is handled by your Successor Trustee, for the benefit of your heirs or children (Beneficiaries). During the Settlor’s life, the Living Trust is entirely revocable. This means that the man or woman who developed the Living Trust can alter, amend, or revoke the Living Trust. Upon the Incapacity or Death of the Settlor, the Living Trust becomes irrevocable. This means the Living Trust can no longer be altered, amended, or revoked without court permission. Often a husband and wife will settle jointly (create) a Living Trust, which is generally known as an A-B Trust. The Survivor’s Trust (Trust A) is also called the Marital Trust. This Trust continues being revocable during the Surviving Spouse’s lifetime. The Surviving Spouse has limitless use of Trust A’s Principal and Income during their life, and is free to add or remove the Beneficiaries of Trust A. At this time, Trust A can either be (1) Joined into Trust B and distributed according to the terms of Trust B, or (2) Distributed to the beneficiaries that the Surviving Spouse has chosen during their lifetime. The procedure of dividing the Living Trust into Trust A and Trust B is commonly referred to as the Trust Settlement process. This is a critical process that can not be skipped. When one spouse dies, and a fully-funded Living Trust is in place, there is still work that will need to be done. While the properties funded to the Living Trust should not have to be Probated, ignoring this Trust Settlement until the Surviving Spouse dies can have devastating outcomes for the beneficiaries. Failing to correctly divide the Living Trust upon the death of the first spouse may (in some cases) cause you to lose the Estate Tax credits that might otherwise be available. It can also cause major headaches when property is distributed to the Beneficiaries. A correctly funded Living Trust is the cornerstone of a successful Estate Plan. It helps Avoid Probate, Provides greater flexibility than a simple Will, and helps streamline the Estate Administration process, while keeping costs to a minimum.